This article is about the song. For other uses, see Rem (disambiguation). Rapid eye movement sleep is a unique phase of sleep in mammals and birds, distinguishable by random/rapid movement of the eyes, accompanied with low muscle tone throughout the body, and the propensity of the sleeper to dream vividly. Out is an American LGBT fashion, entertainment, and lifestyle magazine, with the highest circulation of any LGBT monthly publication in the United States. It presents itself in an editorial manner similar to Details, Esquire, and GQ. Out was owned by Robert Hardman of Boston, its original investor, until 2000, when he sold it to LPI Media, which was later acquired by PlanetOut Inc. In 2008, PlanetOut Inc. sold LPI Media to Regent Entertainment Media, Inc., a division of Here Media, which also owns Here TV. "Sangria Wine" is a song recorded by American singer Pharrell Williams and Cuban-American singer Camila Cabello, released as a single on May 18, 2018. 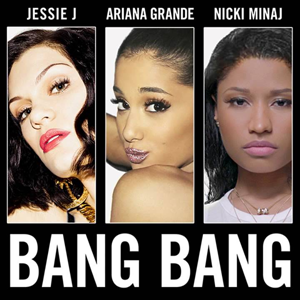 It was written and produced by the two performers with additional songwriting from Bia. 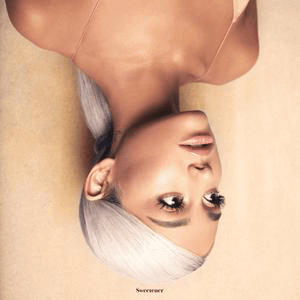 ↑ "Ariana Grande: Sweetener Review". Pitchfork Media . 2018-08-21. Retrieved 2018-11-19. ↑ "Hear Beyonce's Version of Ariana Grande's New Song 'R.E.M'". Us Weekly. 2018-08-17. Retrieved 2018-11-12. ↑ "Ariana Grande's "REM" is a flip of a leaked Beyoncé song". The FADER. Retrieved 2018-11-12. ↑ Editors, Vulture. "6 Best New Songs of the Week: Ariana Grande, Mitski, Soccer Mommy". Vulture. Retrieved 2018-11-12. ↑ "Ariana Grande Teases New Song 'r.e.m', Covers Justin Bieber, Whitney Houston & More: Watch". Billboard. Retrieved 2018-11-12. ↑ "Exclusive: Ariana Grande Sings New 'Sweetener' Song in ELLE's Song Association". ELLE. 2018-07-12. Retrieved 2018-11-12. ↑ "Ariana Grande Teases New Song 'R.E.M.' | Billboard News". Billboard. Retrieved 2018-11-12. ↑ Youngs, Ian; Rumble, Taylor-Dior (2018-08-17). "Ariana Grande's Sweetener: The stories behind the songs". BBC News. Retrieved 2018-11-12. ↑ "The Best Ariana Grande Songs". Complex. Retrieved 2018-11-12. ↑ Rosa, Christopher. "All the Lyrics on Ariana Grande's New Album That Are (Probably) About Pete Davidson". Glamour. Retrieved 2018-11-12. 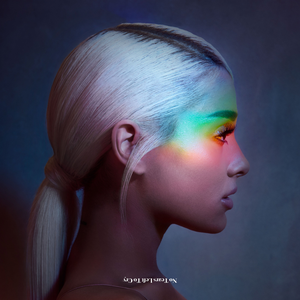 ↑ "Track-by-Track Review: Ariana Grande's 'Sweetener' Does Not Disappoint". 2018-08-17. Retrieved 2018-11-12. ↑ "Ariana Grande Performs "R.E.M." and "Them Changes" on BBC Radio 1 Live Lounge" (in Japanese). Retrieved 2018-11-19. ↑ "Ariana Grande performs Sweetener songs for BBC TV special: Watch". Consequence of Sound. 2018-11-02. Retrieved 2018-11-19. ↑ "Sweetener". Tidal . Retrieved 2018-11-19. ↑ "Ariana Grande Chart History (Canadian Hot 100)". Billboard. Retrieved 2018-11-16. ↑ lightmedia.hu. "Single (track) Top 40 lista - Hivatalos magyar slágerlisták". zene.slagerlistak.hu. Retrieved 2018-11-16. ↑ "Ariana Grande - R.E.M". 2014-08-24. Retrieved 2018-11-16. ↑ Hung, Steffen. "Portuguese Charts - Discography Ariana Grande". portuguesecharts.com. Retrieved 2018-11-16. ↑ "www.sverigetopplistan.se - Veckolista Heatseeker - Vecka 34, 24 augusti 2018". www.sverigetopplistan.se. Retrieved 2018-11-16. ↑ "Ariana Grande Chart History". Billboard. Retrieved 2018-11-16.